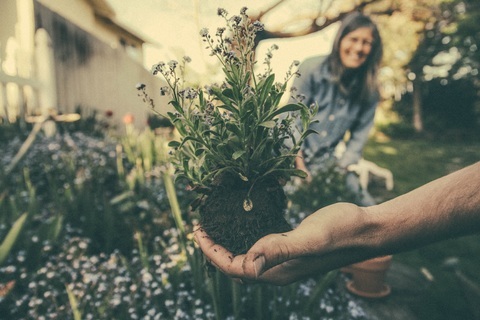 Whenever you are planning to plant a tree in Wichita Kansas or anywhere else for that matter, you should know about the area’s climate, type of soil potential plant diseases and so on. This largely influences the type of trees that you are going to plant. This gives the tree the best chance of survival through the years. It also determines just how much work you need to put into tree care and maintenance so that the tree thrives. If you want your tree to thrive, you must plant it at the right time. One thing that most people agree about is that tree planting in summer is not a good idea. While the tree might still survive, you run the risk of it drying out and dying or not growing to its full potential. You should also avoid planting in the beginning or middle of winter. At this point, the ground is covered in frozen snow and the temperatures are extremely low. It is not easy to till the soil and plant. Furthermore, the tree does not have access to moisture until the snow starts thawing. The best times to plant trees would be fall and the end of winter. In fall the tree grows in moderate weather and is able to get all the nutrients and elements it needs to grow. This gives it a higher chance of surviving more seasons to come. The bur oak is an extremely large tree. If you are to plant it, you need to set aside enough space. Once it is grown, it provides adequate shade thanks to its size. Additionally, it has long leaves and acorns that mature in fall to attract squirrels. If you are not into animal activity then perhaps the bur oak is not the right tree for you. This tree has a shape that is upright or leaning towards a pyramid. It has a furrowed bark that is plate-like. One of the reasons people are encouraged to plant it is because it plays a crucial role in the environment. It provides food for butterflies when they are in the larva stage. One of the reasons these are some of the trees that are encouraged in Wichita Kansas is diversity. These trees have different characteristics which is beneficial to the landscape as well as the environment at large. 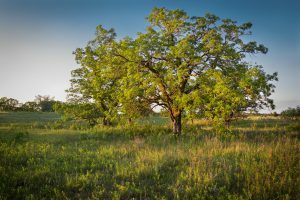 Additionally, because it has been proven that these trees thrive in Kansas weather, it means that the probability of growing into mature trees and surviving through the seasons is very high. Trees benefit your compound or yard in different ways. Even with these benefits, you still need to think about the type of tree you want to have. This goes hand in hand with your reason for having the tree in the first place.